You'll definitely want this Los Angeles Dodgers Long Sleeve 1/4 Zip Pullover to keep you warm and dry as you show your Dodgers pride. This Long Sleeve Pullover features a 93% polyester/7% spandex heavy interlock 1/4 zip pullover with self fabric stand up collar, dyed to match rib bottom, contrast inside neck, collar binding & zipper teeth. Embossed Antigua logo at back neck.. 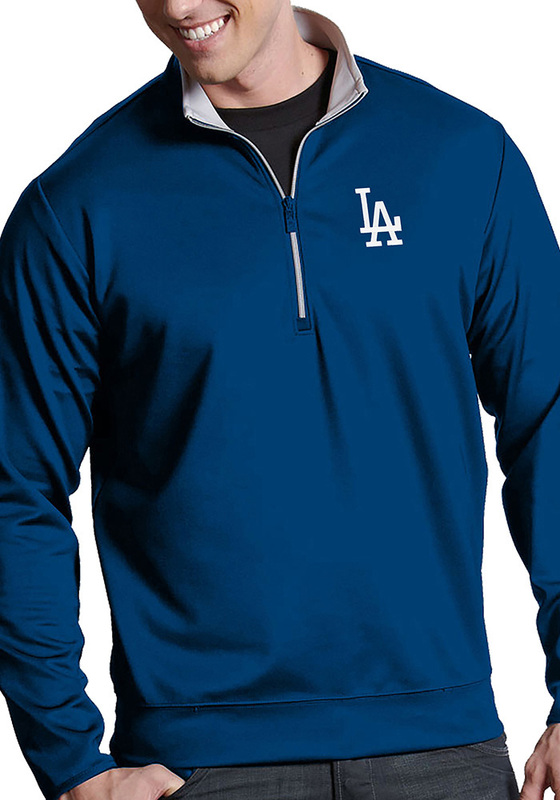 This Los Angeles Dodgers Long Sleeve 1/4 Zip Pullover perfect for every day wear.